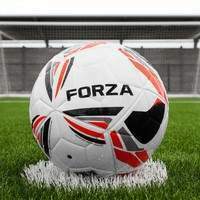 21ft x 7ft FORZA Alu110 Freestanding Stadium Box Football Goal. 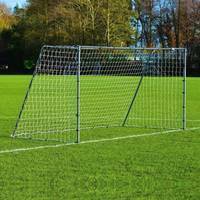 110mm aluminium posts, 5mm HDPE net and a 4-point net tension system with bracing bars. Optional wheels and weights. 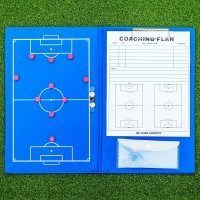 Featuring a 5mm braided twine box goal net, this 21 x 7 stadium box football goal offers the ultimate in professional performance. 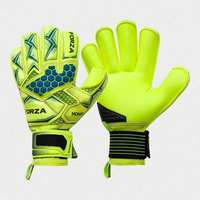 The UV stabilised box net is kept taut and in shape by the 4-point net tension system and extra back bracing bars which ensure that the goal net retains its shape all match long. There is the option to include heavy duty lever goal wheels for incredibly simple mobility. These anti-puncture wheels feature a CAM mechanism which raises the goal up to 100mm off the ground, taking the strain out of lifting. Made from durable black rubber, the goal wheels are incredibly durable and easy to use. The high quality internal counterbalance weights have been expertly manufactured to ensure that the box goal remains firmly in place no matter what comes its way. 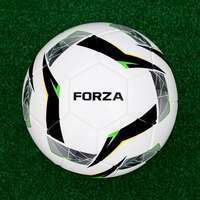 The specially moulded shape of the weights allow them to slot within the goals profile with ease, providing stability from the first kick to the last. Stadium box goals are an ever-presence on the matchday and training pitches of professional clubs. 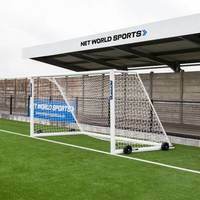 This premium quality 21 x 7 freestanding box goal allows football clubs at all levels to play and train in a setting which mirrors those found at Premier League stadiums. 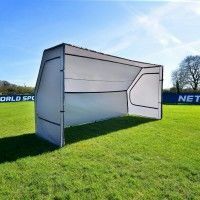 The highly versatile box goal is a valuable asset for football clubs with youth and senior sides, boasting the capability of being used as a training goal for first teams while also being the perfect size for use as a junior matchday box goal. The 5mm braided twine box goal net is of the highest quality, offering longevity and durability in abundance. 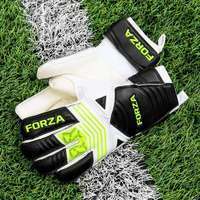 The tense box shape is held in place throughout use by the combination of a unique 4-point net tension system as well as back bracing bars, allowing the net to keep its shape no matter what comes its way. 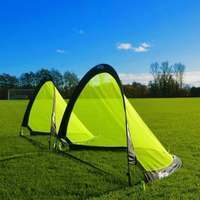 The 21 x 7 stadium box football goal performs to an incredibly consistent level, with reliability which makes it perfect for regular use in training and matches alike. High in value as well as quality, this is the best stadium box goal for clubs looking for a truly professional football goal. 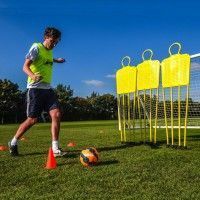 Featuring cutting-edge manufacturing, this box goal is guaranteed to revolutionise the senior training and junior matchday experiences, with a premium goal net that is worthy of being used by the pros. A common fault of inferior box goal nets is an unsightly sag down the middle which prevents the consistent box shape. Tensioned by a one-of-a-kind 4-point net tension system with extra bracing bars for enhanced stability, the state-of-the-art goal net stays rigid and firm all match long. Designed to handle the impact of hard shots as well as that of the elements, the UV stabilised and weatherproof braided twine goal net will be with you all season long whatever the weather. 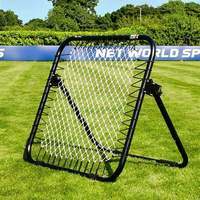 The incredibly strong frame of this premium stadium football goal has been made from highly durable 110mm reinforced aluminium. 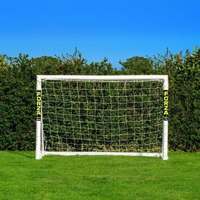 The first-class polyester white powder coated goal posts won’t fall foul to the wear and tear of a full season, keeping your 21 x 7 stadium box football goal looking as good as new following countless training sessions and matches. 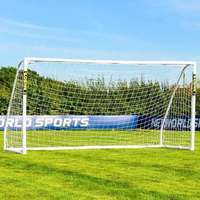 The heavy-duty design of the box goal allows for supreme levels of durability, although the versatile football goal is surprisingly light in weight. 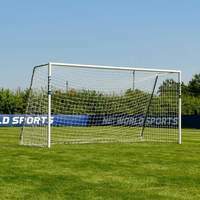 The freestanding football goal can be shifted in and out of positions, and due to the fact that it doesn’t require fixing into the ground, the goal can be utilised on any surface, including grass, astroturf and indoor hard pitches. 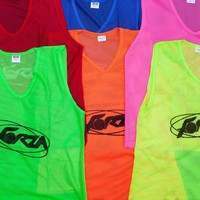 There are also optional extras which have been designed with the same levels of quality to truly upgrade your box football goal. Select the heavy-duty lever type wheels to your stadium football goal for incredibly simple and convenient portability. 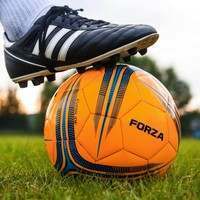 Perfect for clubs who train and play matches on multiple pitches, the puncture-proof black rubber wheels make moving the goal exceptionally easy, taking the strain out of manual lifting. The innovative CAM mechanism of the levered goal wheels lifts the goal up to 100mm off the ground, preventing avoidable injuries when moving your box goal. Our second addition keeps your 21 x 7 stadium box football goal upright and secure during the highest intensity sections of the match. 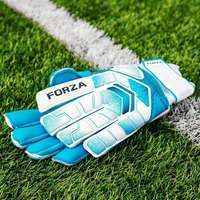 While the premium box goal conforms with worldwide match regulations and has been independently tested to BS EN 748/8462 safety standards, you can take extra safety measures to guarantee that there’s no upturning or unwanted movement. Add our internal counterbalance weights to the goal. The weights fill up with sand, water, stone or metal, to keep it securely fixed to the ground. Having been specially moulded to fit within the goals profile, the weights are easy to insert and low-maintenance. 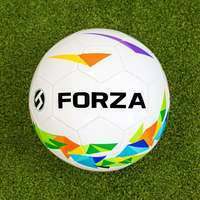 If you’re looking for the best box goal on the market, then look no further than the 21 x 7 FORZA Alu110 Freestanding Box Stadium Football Goal.